Successfully saved Easy Thai Red Curry to your Calendar. You can also save the ingredients to your Grocery List. 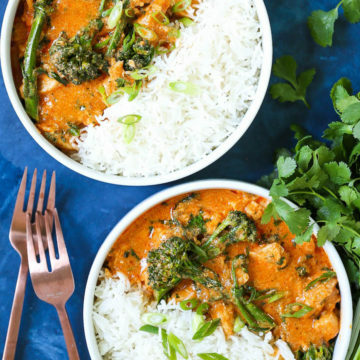 The easiest and most flavorful homemade Thai red curry you will ever make in just 30-40 minutes! It tastes just like the restaurant-version, except 10000x times better and cheaper!